Every week we plan to watch and post a film about the state we're in during our year long trip. We've mapped out the films in advance, but there is room for flexibility, as happened this week when we went to see a current film and were surprised to find it featured Las Vegas, our present location. 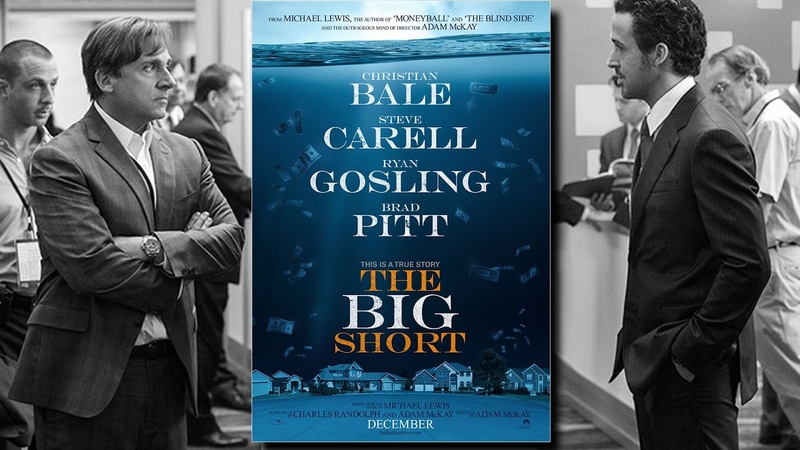 Plot Summary: A slightly fictionalized version of the 2008 financial meltdown from the perspective of financiers who anticipated the pop of the real estate bubble and sought to profit from it. Nevada connection: At one point in the film, all of the principal characters trek to a convention in Las Vegas. Was it really filmed in Las Vegas? Yes. It wouldn't have been cost effective to reconstruct Caesar's Palace in such detail. Church? Spiritual or religious themes or references? There is not a church or clergy in the film (except for a brief glimpse of Jim and Tammy Bakker). At one point a character disgusted by rampant financial misdealings states he's going to "seek moral redemption at the roulette wheel." That same character says, "There are no saints on Park Avenue," and states that people have lost faith in all the major instititions including religion. Some other Nevada films: Lost in America (This was going to be our featured Nevada film. It's about a couple, Albert Brooks and Julie Hagerty who decide to leave their jobs and see the country "like in Easy Rider". Can't think of what attracted us to that film.) Leaving Las Vegas and Honeymoon in Vegas (two good Nicolas Cage films, drama and comedy respectively.) The Gauntlet (Clint Eastwood). The Shootist (John Wayne's last film). Fear and Loathing in Las Vegas (the strange world of reporter Hunter S. Thompson). Rain Man (went to Vegas and won big at the Oscars table). Cherry 2000 (a strange science fiction comedy we don't expect anyone else to appreciate).